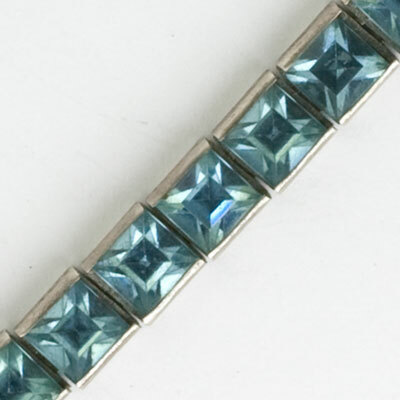 This vintage aquamarine bracelet has square-cut glass stones channel-set in rhodium-plated sterling silver links with engraved edges. 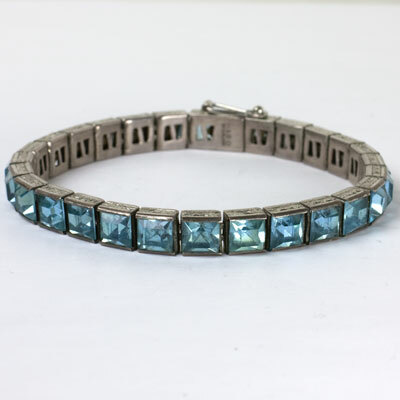 It is an excellent example of an Art Deco line bracelet, so popular in the 1920s-1930s. Longer than many from this era, this one has substantial weight and width as well as excellent construction and articulation. 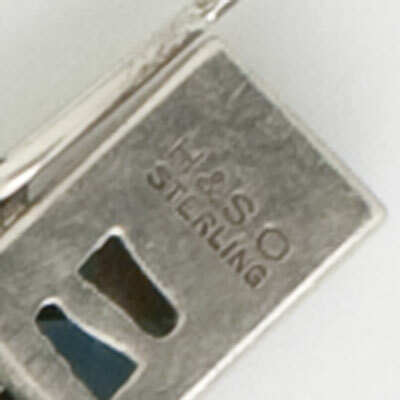 The concealed clasp has a safety catch. This bracelet is signed, but I cannot identify the maker. 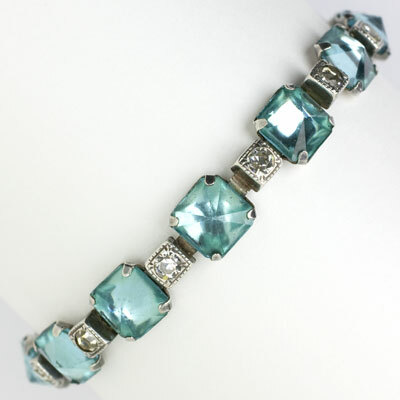 Because of its simple, classic lines, this bracelet coordinates well with more elaborate pieces from other eras. In fact, it adorned a runway model at Toronto Fashion Week for Spring 2019. She wore this jewel with fabulous 1950s diamanté chandelier earrings, which you can see here. 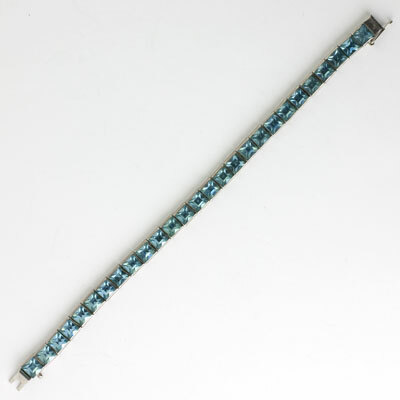 Although this item is no longer available, you may like another aquamarine bracelet in a similar design from the same era – scroll down to see it. 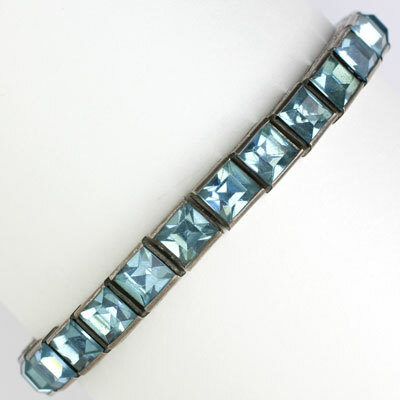 This vintage aquamarine bracelet features pyramid-shaped glass stones alternating with links of diamanté. 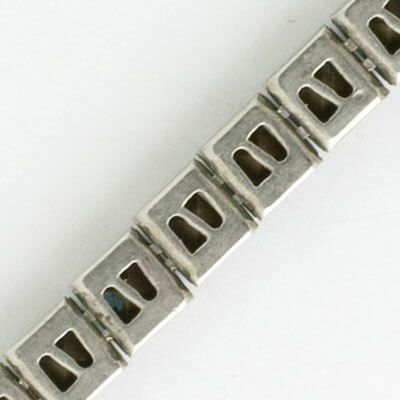 The setting is sterling silver with a spring-ring clasp. Although this lovely and versatile piece is signed, I cannot identify the maker. 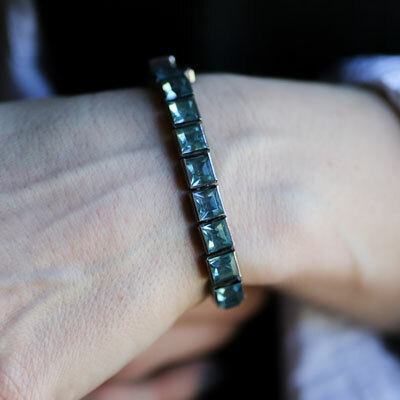 This bracelet was made for a slim wrist. Please note the bracelet length (6 3/4") and check your wrist size before purchasing this piece. Scroll down to see some coordinating pieces.